Bitcoin acceptance is increasing rapidly as more individuals, businesses and educational institutions adopt this innovative payment method. As the Bitcoin community grows, a great variety of products and services can be acquired for Bitcoins, including NBA tickets, plane tickets, accommodation and entertainment in Las Vegas, an appointment with a chiropractor, online games, gift cards, online dating services, pizza and even beer. You can also pay for college education and tutoring services with the help of Bitcoins. This university has gone even further with Bitcoin integration and in Spring 2012 UNic launched the first MSc Degree in Digital Currency, an online degree accessible to students around the world. Public education establishments have also shown interest in Bitcoins and start to accept them as payment for tuition fees. The University of Cumbria, located in England, is the first public university to receive cryptocurrency for tuition fees. Currently, Bitcoin acceptance is applicable for only two programs — the Certificate of Achievement in Sustainable Exchange from the university’s London campus in July 2014, and the Postgraduate Certificate in Sustainable Leadership from its Lake District campus in June 2014. In addition, the university has decided to launch a number of courses that demonstrates the influence of complementary currencies on economy and the society. The UoC website states that the institution is “open to relevant innovations in payment technology that could increase options for our students”. These programs are currently allowing Bitcoin payments on a trial basis, however “the university will learn from this trial and develop its awareness of innovations in complementary currencies and payment technology”. As many other institutions, UoC uses BitPay to process the payments. Recently, various tutoring services have started accepting Bitcoins as a payment method in order to decrease credit card and bank transfer fees for their international clientele. Chuck Cohn, founder and CEO of Varsity Tutors, the leading provider of one-to-one and online tutoring services in 19 cities across the United States, says, “At Varsity Tutors, we’re constantly seeking out ways to better serve our clients, so if digital currency can make it easier for international students to access our tutoring services, it seems only natural to embrace it”. As you can see the number of educational establishments that accept Bitcoins is constantly increasing. 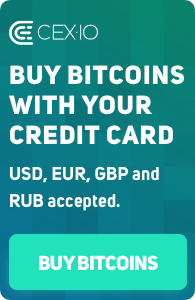 We will keep you updated about the growing tendencies of Bitcoin acceptance. Until then, let’s keep spending those Bitcoins on big and small pleasures.